Steve Grace is one of the most underrated artists there ever is. It’s a fact that probably will stay the same until the day of Steve’s passing, simple because he isn’t that popular in the U.S. Not that there’s anything wrong with that, but sometimes for Aussie artists, if you don’t have your big break and sign to a major label (which Steve didn’t! ), then you probably won’t ever ‘make it’ big. Does that really matter in terms of Steve’s career though? Active for more than 30 years and having released countless of albums and live projects, Steve has also travelled around Australia and has seen many live changed through the gospel and his music. Sure he hasn’t had the success as TobyMac, Chris Tomlin or for KING & COUNTRY have had, but who really defines success these days? As long as you are happy and content with life, and as believers strong in our faith, then I guess everything else is superfluous. Anyway I digress- so what does Steve do when you’ve obviously released almost every album there is to release? Well, release a hybrid hymns/country album of course! Eternity released last October, and if you haven’t heard of Steve’s music, then this place isn’t the right place to start for you. Don’t get me wrong, I love this album, but as a launching pad, you’d be better off listening to albums like New Day Coming, Follow, Better Days Ahead, hymn projects Heritage and Heritage II, and even the compilation/re-recording album Everytown (which you can read my brother’s review right here!). And that could take a week or two or maybe even more so… why don’t you stop reading this review and come back later when you’re more well-versed in Steve Grace’s material? 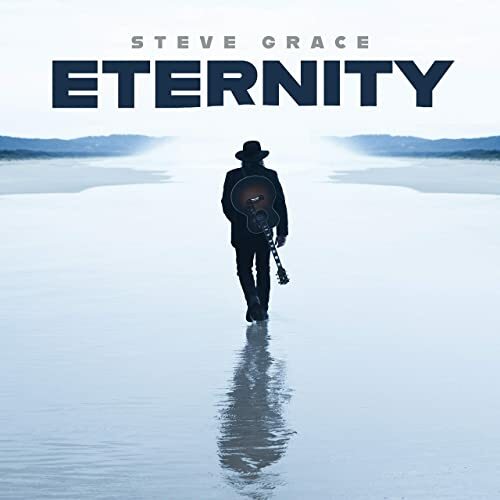 As a whole, Eternity is what we’ve come to expect from Steve Grace. He doesn’t reinvent the wheel, but rather he sticks to his strengths, unveiling a solid, albeit somewhat redundant hymns/country album with respect to how listeners are consuming music these days at a rapid rate. There’s no slick EDM production here nor remix-y beats. But rather, in the 10 tracks of obscure hymns (of which most are made famous by Johnny Cash! ), we hear Steve crying out to Jesus, praising Him for who He is, and Aussie-fying these hymns for his own audience, who may be small be certainly are devoted. Eternity may not win any potential new fans right away, but it is a reminder that Steve isn’t done yet, and there’s still time for him to break into the American market, if it is God’s will and desire. Songs like “Ain’t No Grave”, “I Saw The Light”, “I Have Decided” and “In The Sweet By And By” are familiar somewhat (although it’s because of covers from artists like Crowder, Carman and Selah that I recognise these melodies! ), while other songs are just plain foreign- and that’s ok. Discovering ‘new-ish but actually old-ish’ hymns is actually a good thing, as it proves how much I don’t yet know about the music scene, despite the ‘lot’ I think I know. Eternity is not as flash as other high profile albums in 2018 like Reckless Love (Cory Asbury), The Elements (TobyMac) or Burn The Ships (for KING & COUNTRY), yet there’s passion and heart here that make this album all the more special for me (maybe it’s cause Steve’s As Far As It Goes way back in 1996 was one of the first albums I ever listened to from start to finish! ), as we are shown a man of God still fighting the good fight and still doing God’s work- and hopefully until his dying breath. Steve Grace isn’t the world’s greatest vocalist, nor even the world’s greatest musician. He won’t sell out massive arenas in major cities (maybe more like small bars, pubs, clubs and churches! ), and most people in the world wouldn’t even know his name. But I’m sure he’s ok and content with that. And we ought to be as well. Sometimes the unsung heroes and the independent artists are the ones you want to spend more time investing in, and Steve is one such artist. And though Eternity isn’t without its flaws (a short run time and a lack of punchy songs like “Every Town” and “New Day Coming” on previous albums! ), this is an album you all should listen to if you want to hear hymns sung in a new way, and if you want to be exposed to the culture of Australia without going to Australia! So, well done Steve- though this album isn’t my favourite at the moment, it’s still enjoyable…and I can’t wait to hear what God has in store for you next!